FOR IMMEDIATE RELEASE – January 2019 – In collaboration with the Seibel Institute of Technology, the Glen Hay Falconer Foundation is offering two full-tuition brewing education scholarships in 2019. Both scholarship are full tuition grants and come with generous travel/lodging stipends. The second scholarship is to the World Brewing Academy International Diploma Course running from September to November 2019 at Siebel’s Chicago and Munich campuses. The International Diploma course is a 12-week comprehensive course intended for brewers seeking an in-depth understanding of the technical aspects and practical application of brewing science and technology. The International Diploma Course scholarship includes a stipend of up to $5,000 to help offset travel and lodging expenses. Applicants must be from the states Washington, Oregon, Idaho, Montana, Wyoming, Colorado, Utah, Nevada, California, Alaska, and Hawaii. The Concise Course scholarship is open to individuals planning to enter the brewing industry and to brewers with no more than three years of brewery work experience. The International Diploma Course is open to aspiring and professional brewers. Note that the full application must be received no later than April 22, 2019. Complete details and scholarship applications are available at https://www.siebelinstitute.com/education/studying-at-siebel/scholarships/glen-hay-falconer-foundation-brewing-scholarship. 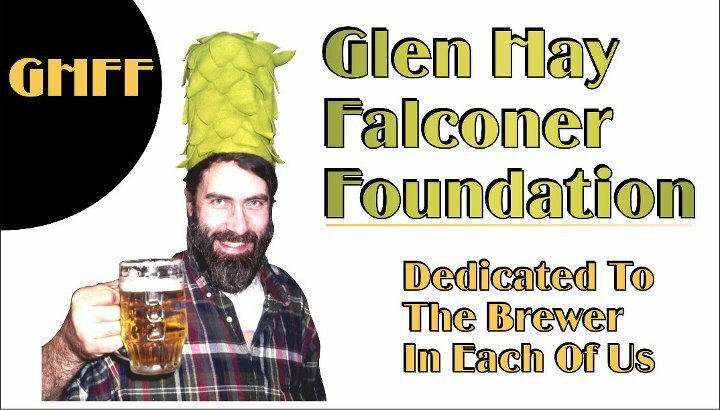 The Glen Hay Falconer Foundation is a non-profit organization dedicated to providing educational opportunities for professional and aspiring craft brewers to further their knowledge and expertise. The Falconer Foundation has granted more than 41 scholarships since 2004. For more information on the Foundation please visit www.glenfalconerfoundation.org and follow us on Facebook.